Eyes The Limit Eyeshadow Primer - A fantastic pick for those on a budget. 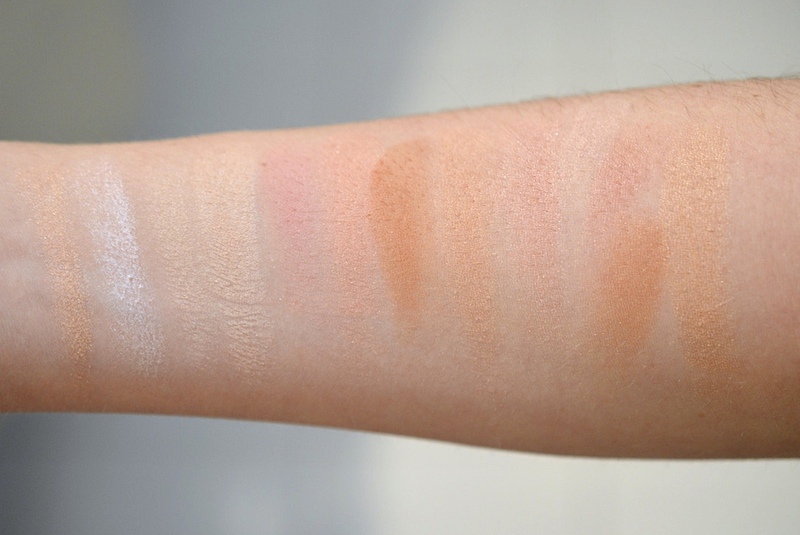 My top choice is the Milani shadow primer. So Baked! Bronzer in Tiki - This is a classic product I bought years ago and I'm happy to now have a mini. 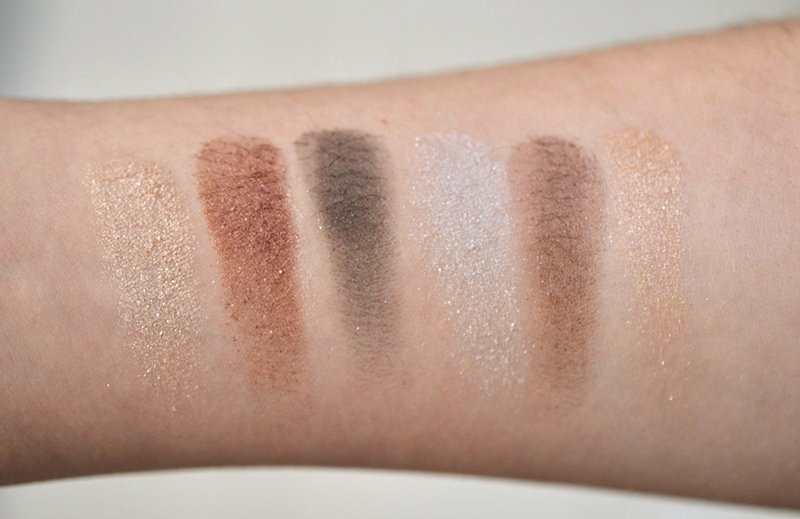 This is actually a highlight colour, it is so pretty and has wonderful pigmentation. Eye Def Cream Shadow - Convenient lipgloss style tube with a cream shadow that packs a huge punch. I love the metallic shade in this holiday set, it works so well and doesn't crease. 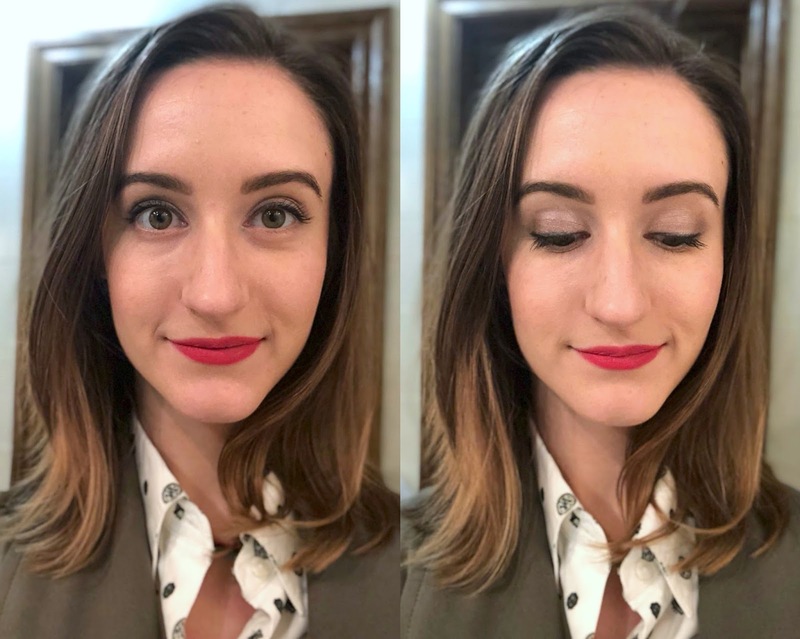 Here's a look I did using the mascara, contour creams, 6-colour shadow palette, liner, shadow primer, glamouflage, powder blush and velvet mousse lipstick. As you may know if you follow me on Instagram (@madeline_dm) I adore the Hard Candy 12 Days of Eye advent calendar. The shadows are all incredible, here's what I got. 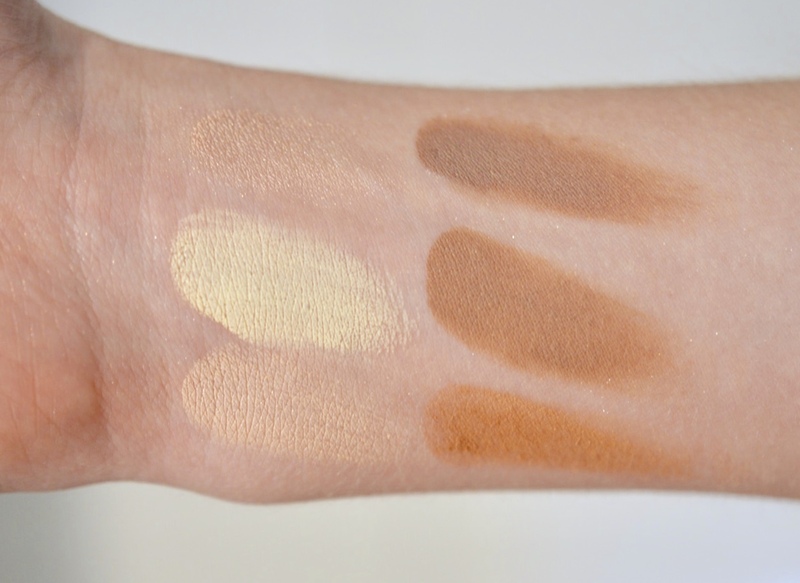 The complexion creams in general are a bit dry and very warm-toned, but they can be worked into the skin for a more natural look. 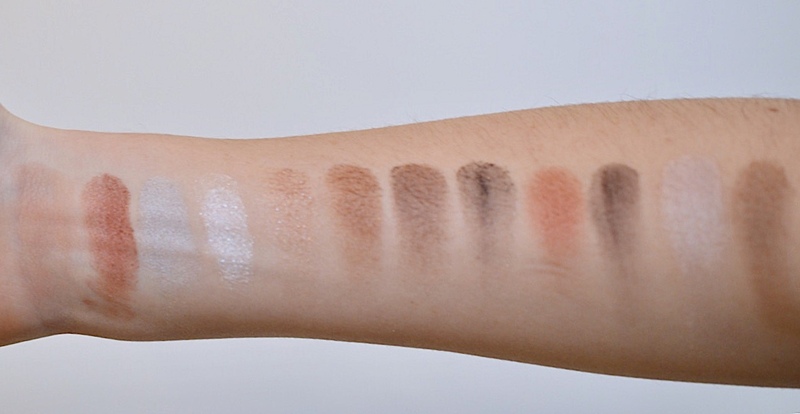 These are a bunch of powder swatches from my custom palette. 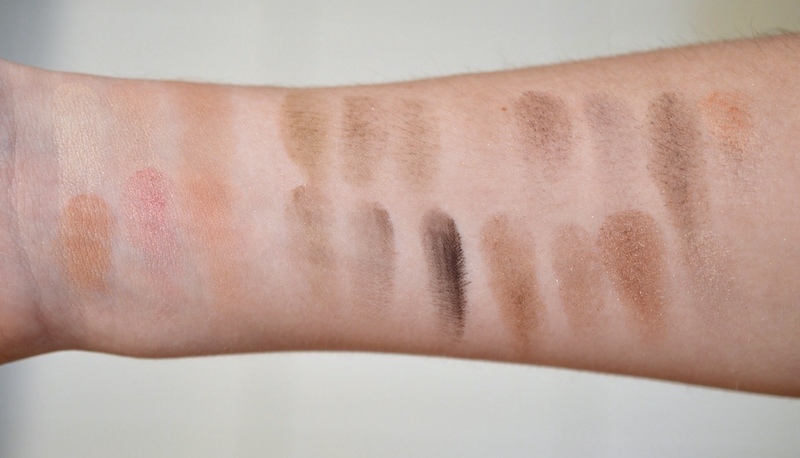 Brow shades are OK in pigmentation, eyeshadows were great overall, and the blush/bronzers were bad in the matte shades but great in the shimmer options. Hard Candy excels in pigments with glitter, not in the matte category. 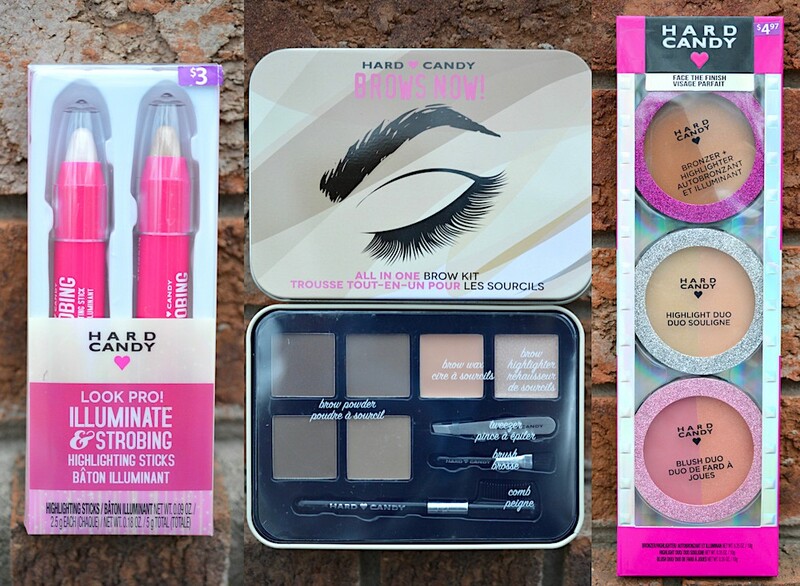 I'm so happy to have tried some more permanent and holiday-themed products from Hard Candy. 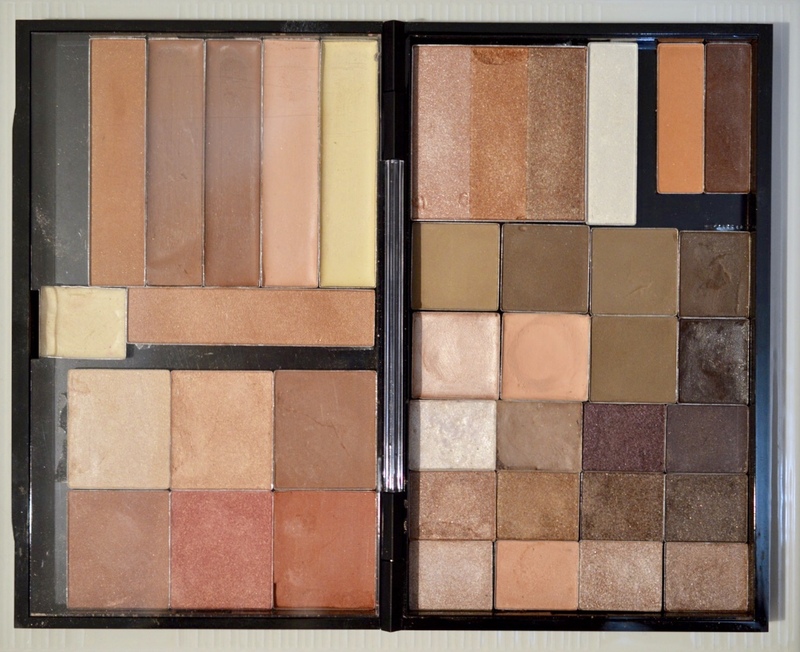 It's great to have first-hand experience with affordable makeup brands to help friends and family make well-informed decisions when the budget is tight. 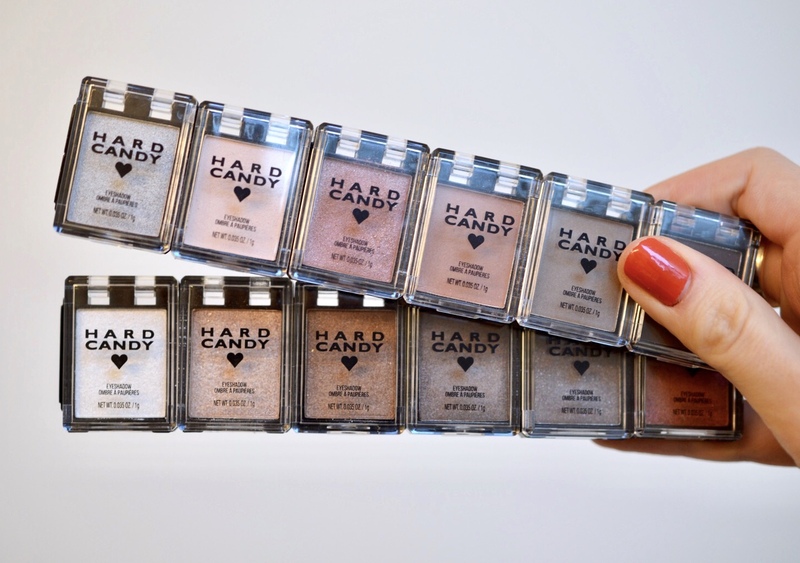 Have you tried anything from Hard Candy? I featured them in my Halloween Unicorn Makeup, How to Hide Blemishes and Top 10 at the Drugstore posts.